Susan was thrilled to be introduced to Lyra several years ago by Ellen Rider. The opportunity to be of use to this wonderful and talented group is both humbling and exciting. A lover of music from folk to baroque, Susan recalls her junior high days, living in Massachusetts and taking the train to the Harvard Coop and buying Nonesuch Records featuring Teleman, Vivaldi, Bach, Rameau, and Corrette as well as Dylan, Baez, Ochs, Seeger and others. She still plays them! A retired health care executive, Susan is taking advantage of her free time advocating for the environment through the Sierra Club NorthStar Chapter, indulging her love for ceramics, traveling, and delighting in her adult children and grandchildren. Phebe is in her first year as a Lyra Board Member and looks forward to working behind the scenes on behalf of her favorite orchestra. She recently retired after 38 years of teaching at the former William Mitchell College of Law, and she continues to serve on the Ethics Committees of Children’s Hospitals and Hennepin County Medical Center, as she has for many years. 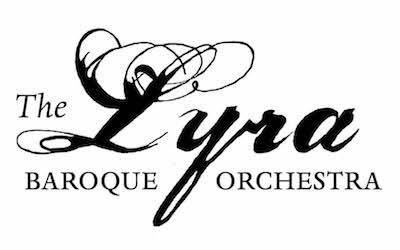 Phebe is thrilled and grateful to have been invited to be part of such a wonderful arts organization and hopes to be helpful in this very different kind of community engagement, bringing Lyra to an ever-increasing audience. Not incidentally, Phebe is looking forward to having more music back in her life. She adores early music, especially, and continues to regret not having been a more serious student during all those childhood piano lessons. In her next life, Phebe intends to play the gamba. Newly retired from working for the State of Minnesota, Stuart has been waiting for the right volunteer position to appear. His volunteer responsibilities so far have been: Director of the Minnesota AIDS Massage Project, on the Board/President of the Twin Cities Recorder Guild, on the Board/President of the Minnesota Therapeutic Massage Network, musician with Terra Musicale, and more. With Terra Musicale he is both a recorderist and a counter-tenor. As a new Board member, he is excited about working with Lyra, having attended concerts for many years. Joan Rabe was an IBM debugger whose career ranged from typewriters to supercomputers. Now retired, she has time to indulge her love of music as an amateur pianist, church choir member, and enthusiastic listener. Married to a rabid J.S. Bach admirer, she’s been to every Bach-significant site in Germany. Joan represents Rochester on the Lyra Board of Directors. Ellen began her association with Lyra as a musician in the mid to late 1980s, During the same period, she began her teaching career as a Spanish instructor at the University of Wisconsin. She currently continues to play oboe with Lyra and many other local early music groups. On a fateful night in the spring of 2010, Margaret’s in-laws invited her son, who loves all things harpsichord and all things baroque, to a Lyra concert for the first time: thus was born “Lyra’s #1 Fan.” It was inevitable that she, too, would be sucked into the warm, welcoming Lyra vortex of fabulous music. Margaret often spent more time on her music in college and graduate school than on her academic studies, but managed to eke out training and employment in her various fields, including: nonprofit administration, dead languages, public policy, and community engagement. She currently works for the Hennepin County Children’s Mental Health Collaborative and coordinates parent stakeholders. Her volunteering background includes stints on the board of the Gilbert & Sullivan Very Light Opera Company (where she was a performing member for 15 years), Minneapolis Public Schools Early Intervention and Special Education Advisory Committees, various school site councils, her neighborhood’s revitalization program committee, and the BSA Troop 1 Committee. Bonnie Turpin has been a supporter of Lyra for many years since she was first introduced to the group by violinist Mary Sorlie. Bonnie is celebrating her third year on the Board and is the current Treasurer. Her musical career began at The Hartt School in West Hartford, CT and continued at Indiana University as a bassoon performance major. Ultimately, she went on to complete her accounting degree at IU and has held finance positions with several companies that include Cummins, Medtronic, and General Mills. Bonnie has been with Berman Consulting Corp. as Controller and now COO for the past 16 years. Bonnie spent nine years as a board member for the Greater Twin Cities Youth Symphonies (GTCYS). Her husband, Mark, is an avid fan of anything harpsichord. In her spare time, Bonnie and Mark entertain (and are entertained by) their grandson, help keep their daughter’s Kumon Math and Reading Center running smoothly, and spend time with their two sons and their wives. Elizabeth York began playing with Lyra in the 2013-14 season, shortly after moving to Saint Paul. She has a DMA in violin and viola performance from Stony Brook University. She is a busy teacher and performer, and is currently the applied upper strings faculty at North Dakota State University in Fargo. Elizabeth joined the Lyra Board in 2016 as the Players’ Representative, representing musician’s interests at board meetings. Tami Morse works extensively as both a musician and an administrator. She is the artistic director of The Baroque Room and administrator for the International Baroque Instrumental Program, an intensive summer music course. As a harpsichordist, she has performed with ensembles such as Foundling, the Long Island Baroque Ensemble, North Shore Pro Musica, Stony Brook Opera, Ensemble 212 and the Big Apple Baroque Band. In addition to her studies with the acclaimed Arthur Haas, Tami was awarded a prestigious DAAD grant, which she used to study in Germany at the Hochschule für Musik with Ketil Haugsand. She is dedicated to making early music accessible to today’s audiences and laying a foundation for its study and performance in the US. Maura Dunst hails from southeastern Wisconsin, where she grew up playing violin in regional orchestras. After a year of studying violin at UW-Milwaukee and playing in the UWM Symphony Orchestra, she changed course and completed a bachelor’s degree in journalism at the University of Missouri. She earned a master’s degree in English at UW-Eau Claire and a PhD in Victorian literature at Cardiff University. After three years of teaching college composition in Wisconsin, Maura took another leap and left teaching for university communications in the Twin Cities. She is thrilled to be working in the classical music field once again, yet another variation on her constant theme of bringing historical pieces back to life in a 21st-century context. This is Melissa’s second season as house manager for Lyra. She holds a bachelor’s degree in French from the University of St. Thomas, where she’s finishing a master’s in special education. Melissa is a special education teacher in the Saint Paul Public Schools and the production manager for The Baroque Room. Through the musical endeavors of her three sons (two violinists and a cellist), she has the pleasure of being involved with organizations like Lyra, The Baroque Room and Minnesota Youth Symphonies. Her family¹s love of and dedication to music has created a way of life, where music is interlaced throughout every aspect. Someday, when there are no more children to drive to lessons, she’ll learn to play the cello. Cassidy Miller studied music performance at Roosevelt University, Chicago College of Performing Arts. She plays both modern and baroque cello, as well as viola da gamba. With the discovery of her passion for Early Music starting with Oberlin’s Baroque Performance Institute, she decided to move to one of the epicenters of Early Music – the Twin Cities. Cassidy looks forward to being able to help a great organization that encompasses what she is passionate about, and at the same time learn about the processes of non-profit organizations, as she hopes to one day run her own animal shelter.